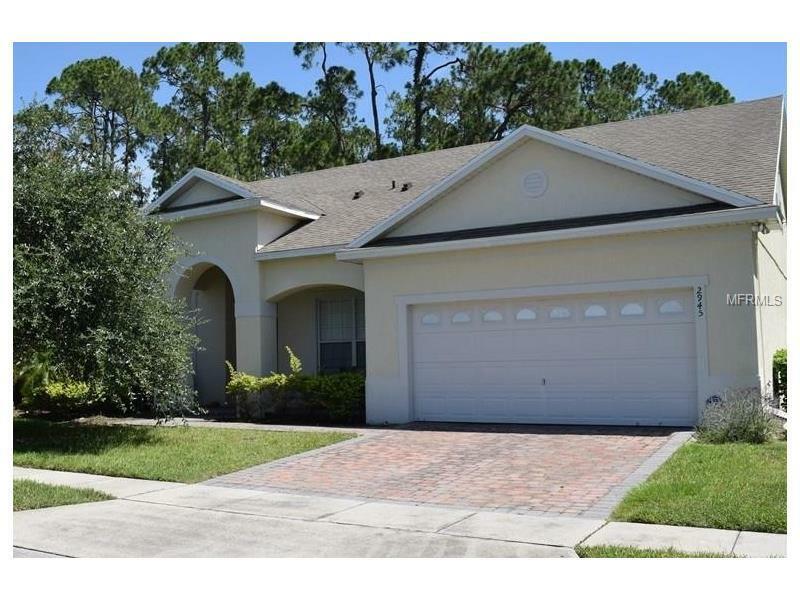 Wonderful home in desirable Winter Park High School school zone. The homes go fast in this little piece of quiet paradise just minutes from shopping, dining, the 417, and the Waterford Town Center. Great floor plan with a separate living and dining rooms, large family room/kitchen combination with a downstairs master. The master bath has dual cherry vanities with large counter tops, garden tub and separate shower stall. The second floor has 4 bedrooms, 2 baths, 2 computer work stations and a large loft. The kitchen features beautiful 42" cherry cabinets with crown molding, granite counter tops, large breakfast bar, eat-in space, closet pantry, recessed lighting and all appliances included. This home also features a paver driveway and inside laundry. The association fees includes the lawn maintenance on the front and back yards.